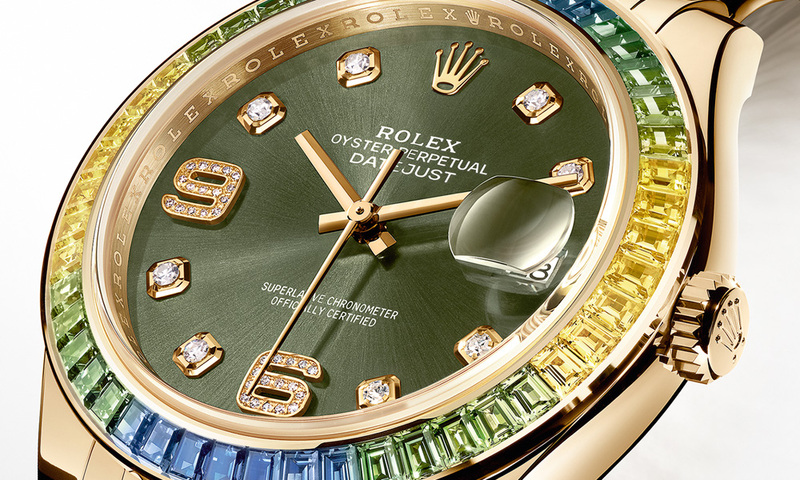 Rolex has unveiled the Oyster Perpetual Datejust Pearlmaster 39, a new timepiece that will be available in three different variations upon its release. 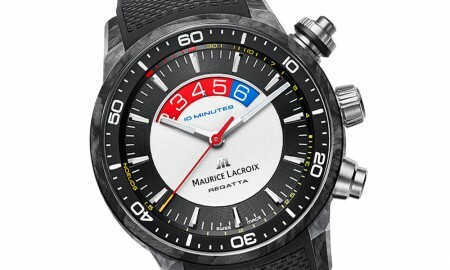 The range of three models will be presented in a 39 mm case, each powered by an in-house 3235 movement that beats at a frequency of 28,800 vibrations per hour (4 Hz) with 31 rubies. This movement, officially certified by the Swiss Chronometer Testing Institute (COSC), will drive the watches functions that include center hour, minute and seconds hands, an instantaneous date at 3 o’clock with unrestricted rapid-setting, and top-seconds for precise time setting. 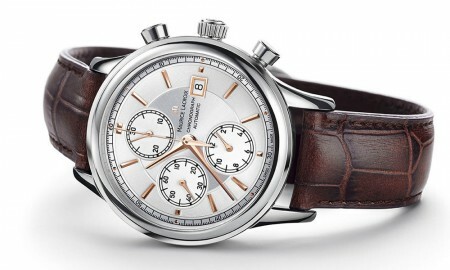 It will available in a variety of colour variations, which include two models in 18-carat yellow gold, with a polished finish and either an olive green or cognac dial with sunray finish. Whilst a third, depicted in 18-carat white gold will be complemented by a red grape dial with sunray finish. Each model has a total of 48 baguette-cut sapphires set across its bezel, in a gradient pattern. The yellow gold versions are available with blue to green, or range to yellow. On the white gold version, these are decorated from blue to fuchsia pink. 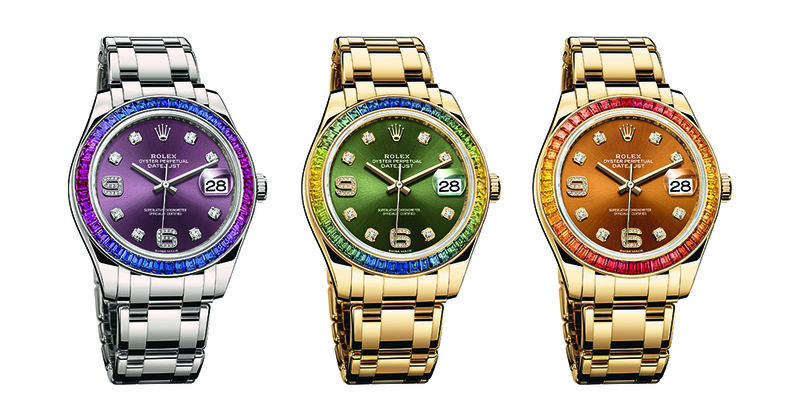 Furthermore, these models with “fancy pink”, “fancy green” and “fancy orange” sapphire bezels are also offered with dials featuring a diamond-set 7 and 9 numeral, or in versions with fully paved dials and diamond-cladded bracelets. All models feature a sapphire crystal display with scratch-resistant treatment, ensuring its protection against the environment, whilst a cyclops lens over the date window is also featured, with double-anti-reflective coating. The Oyster Perpetual Datejust Pearlmaster 39 from Rolex will boast a minimum power reserve of approximately 70 hours and is water resistant up to 10 bar (100 meters or 330 feet).